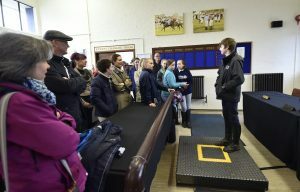 A record group of 60 parents and young people attended a Racing to School Riders’ event at Windsor on April 8th. 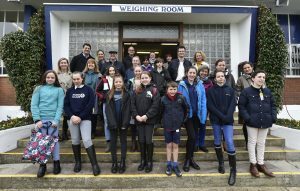 The group of Pony Club members from across the South East are all keen riders and their enthusiasm in wishing to learn about the sport demonstrates the growing popularity of the Racing Foundation-funded Programme, which is only in its third year. The objective is to encourage young people who already ride to consider the racing and breeding industries as a possible career route. The day started bright and early, with the participants arriving on course around 10am for coffee and a health and safety talk. 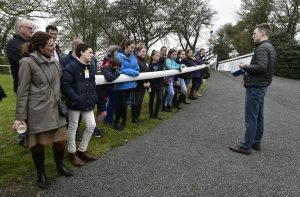 They were then split in to two groups, with one half off to the weighing room with Racing to School’s Rob Bellamy, who talked them through what life is like as a professional jockey. 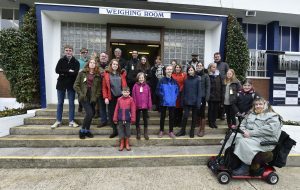 The other group were treated to a tour of the stables and racecourse; they were joined by Rob’s son, the professional jockey Tom Bellamy. Only two days earlier Tom had been riding in the Grand National and was still a little sore from falling aboard Ballyoptic when still going well in the race. His insight was a big with the participants who then swapped activities before heading for lunch. 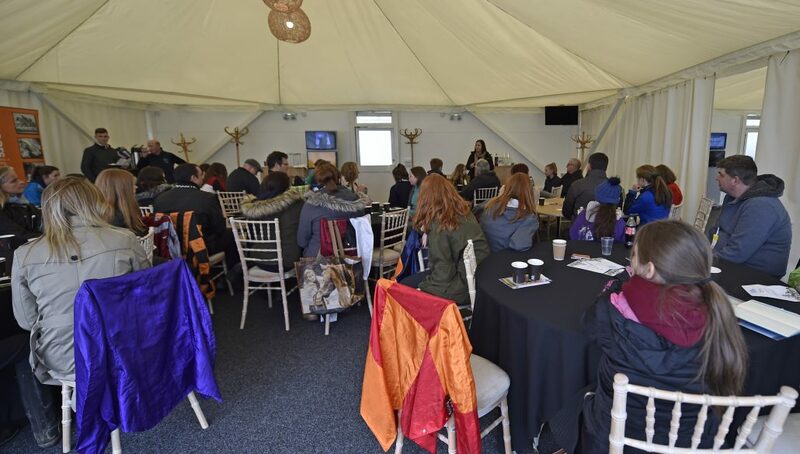 Michelle Douglas from the racing industry’s recruitment initiative, Careers in Racing gave a detailed presentation about the many varied roles that exist within the industry, and the range of career paths open to these young horse enthusiasts. A number of attendees signed up to receive more information and up dates. 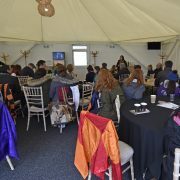 The group were then free to enjoy the day at the races, with all participants kindly offered complimentary badges by the racecourse. The feedback from both the young riders and their parents was incredibly positive, with many showing great enthusiasm for taking up a career in the sport. We are delighted that last year we received a multi-year grant from The Racing Foundation to continue and expand the Riders’ Programme following positive independent evaluation. This year we plan to run over 60 of these events, engaging nearly 2,000 people.